We’ve all watched American summer camp movies (if you haven’t watched The Parent Trap, have you even lived?) and pined after the experience of toasting marshmallows and splashing about with your besties under the Cali sun. Well hey, guess what? We have great news. This resort on Bass Lake, near Yosemite National Park in California, is here to make those fantasies a reality. The Pines Resort is so much more than just a place to sleep. Framed by the stunning alpine vistas of the Sierra National Forest, this mountain lodge sits right on the shores of Bass Lake. With a lake abundant with fresh fish and a sky inundated with majestic eagles and herons, Pines Resort will give you the epitome of American natural beauty. Far from the throws of city life, the adorable cabins will frame the perfect backdrop to your alpine getaway. Roaring fires and adorable ‘gram worthy cabin decor will keep things cosy as you settle into the great outdoor life with your travel buds. After a full day of breathing in the clean alpine air, visitors at the resort can roast s’mores on the open fire. And when it comes to activities, Pines Resort is pretty much the place where dreams are made of. Water babies can head out onto the lake and fish, kick it in a kayak, or even try your hand at a spot of jet-skiing. For those more drawn to land, you can take in the unfathomable views of the lake with an afternoon hike or rock climbing. The best part? The resort is a stone’s throw from the famous Yosemite National Park, perfect for a day trip. If you thought California was all Hollywood smiles, flashy cars and beach babe vibes, this is the place to change your mind. 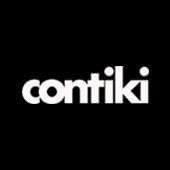 Head there with Contiki on a bunch of our USA trips.